Wine in Croatia has an important role in its culture, mainly due to the fact Croatia is a Mediterranean country. History tracks wine production beginnings around 2200 B.C. when Illyrian tribes in Dalmatia have already been growing grapevines. However, Greek colonization in 5th century B.C. actually spread the craft. Under the Roman Empire, vineyards grew, and since recently introduced Christianity involves wine in ceremonies, it helped the craft to survive until the day. Even when the Ottoman Turks arrived, priests were allowed to continue wine production and save it from extinction. There are two big wine regions: Continental and Coastal. 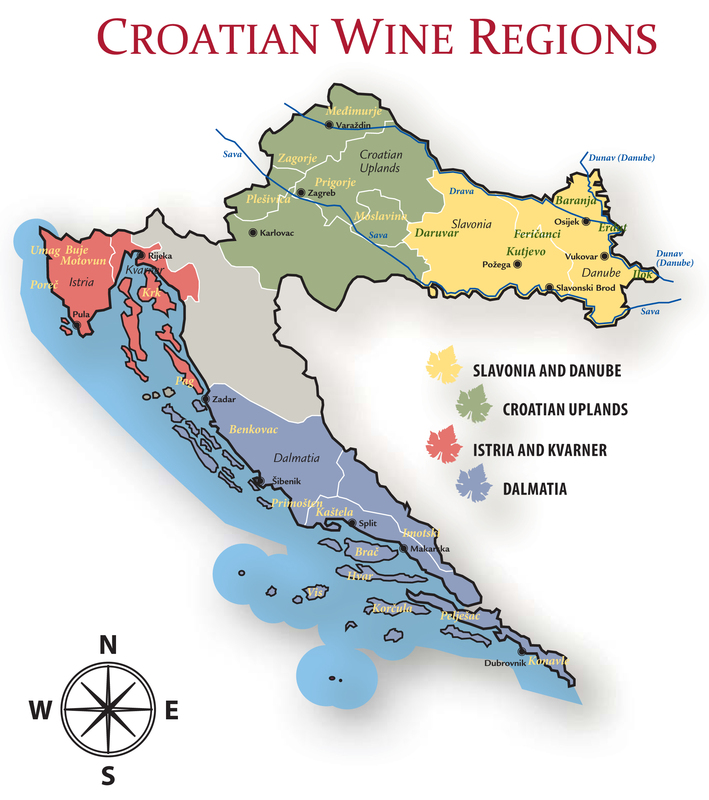 However, many today dispute this division claiming it is far too simple for many tastes Croatian wines offer, and propose four regions: the Uplands, Slavonia & Danube, Istria & Kvarner and Dalmatia. Today, more than 800 wineries are registered in our country, with white wines accounting for around 60 percent of total production. Now let’s dive into grapes of Croatia. The most dominant wines in this region are produced from Malvasia Istriana, which are also most selling wines in Croatia. As for the red variety, most of them are made of high quality Tehran. This region is widely recognized for its meticulousness in wine production, and while combining tradition and technology all in a mild climate, results are wines you really want to try. Ivica Matosevic – Malvazija Alba Antique 2009. Probably the best Croatian white overall. Despite its low alcohol percentage (12.5 %), this wine is incredibly rich and fluent in taste. 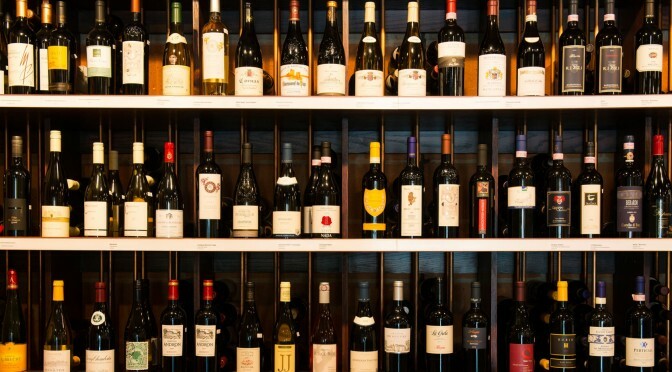 Blumenhalt’s Fat Duck, one of most authoritative restaurants worldwide, has this wine on its wine list. It is also worth mentioning that Matosevic is one of the first winemakers who aged white wine in acacia wood. Medea – Punta Greca 2012. Currently the best Istrian Merlot. It is deep, fruity and delicious. This blend of Tehran, Shiraz, Cabernet and Merlot has won the highest international award ever given to an Istrian red. Coronica – Gran malvasia 2013. A very mature and serious white wine. Has a strong Burgundian influence in its flavours. Riesling is the most notable variety in this region, and Croatia is actually the biggest producer of wines made out of Riesling in the world. Its naturally high acidity and pronounced fruit flavors give wines made from the grape exceptional aging potential, something our winemakers know how to accomplish. 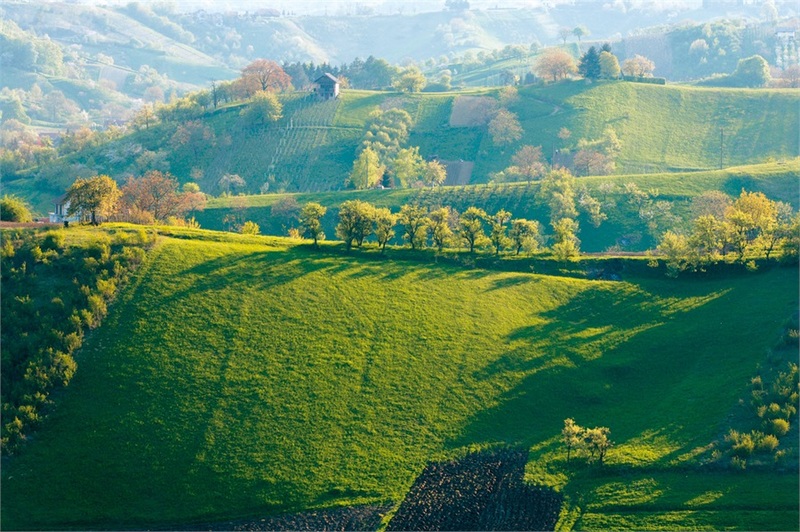 This region also breeds excellent Cabernet Sauvignon, Traminer and Merlot. Ilok Cellars – Riesling 2011. Elegant and drinkable, it is probably the best Croatian Riesling that has been produced in a bit more significant number. Belje – Merlot Goldberg 2012. 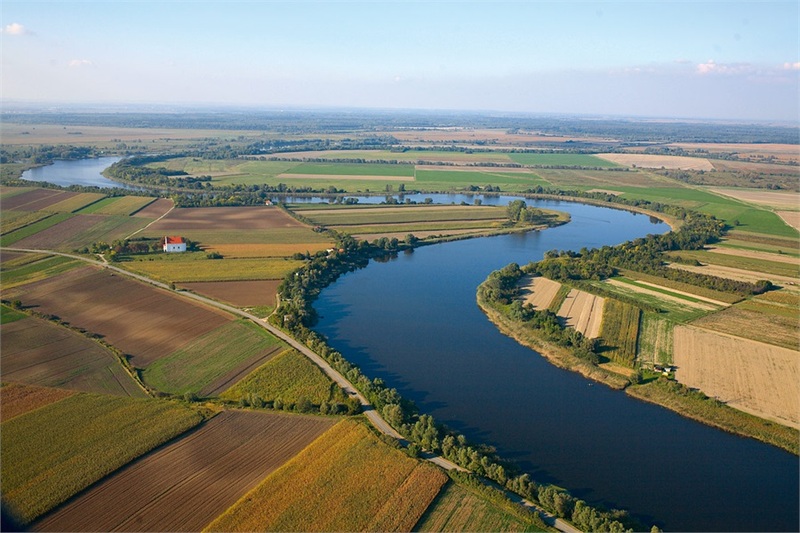 Goldberg vineyard near the Danube is known not only for its wonderful location, but also because they produce both great whites and reds. Red is a bit better, like this Merlot 2012. Although it has 16 % of alcohol, you won’t even notice it. Krauthaker – Sauvignon Vidim 2013. One of the best Sauvignons available, offering excellent balance. 2015. Sauvignon Vidim is expected to be especially good in the terms of pure quality. Krauthaker – Riesling Mitrovac 2013. This one is sure to boost up your creativity. It stands as a true modern Riesling, leaving you with a long aftertaste and an excellent value for money. The Uplands consist of parts north of Zagreb, Zagorje and Međimurje. Here you will find not only tasteful international varieties, but also domestic sparkling wine which is definitely worth trying. 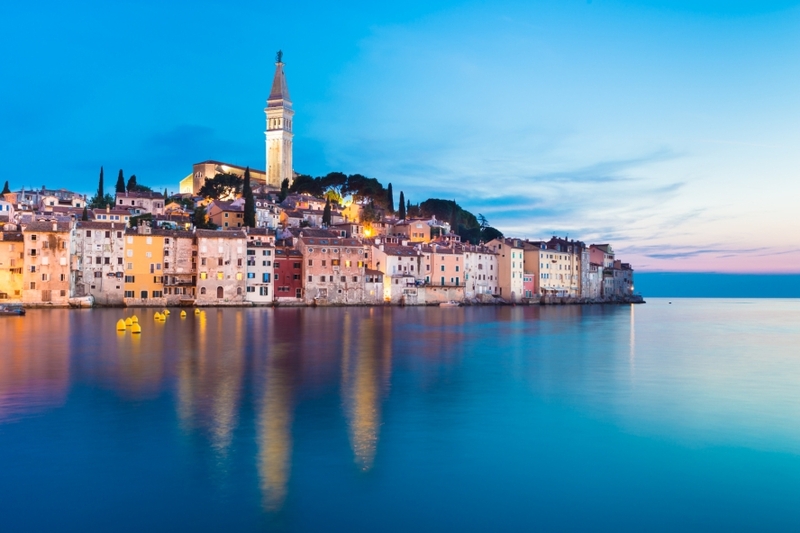 Explore this beautiful part of Croatia that’s both close to Zagreb and inspirational. Tomac – Rajnski Riesling Amphora 2011. Family Tomac produces this Rajnski Riesling in amphoras. Result is amazing, because many aromas mix together, making this Reasling delicious even with red meat. The best dry Riesling of Croatia. It is dry, but has exceptionally full taste. Diplomat is a masterpiece, without exaggerating. It is the best Croatian sparkling wine, very fresh, with an elegance like a true champagne. Bolfan – Sauvignon Blanc 2013. By far the best Croatian Sauvignon, one can be reminded of an excellent Pouilly Foume. Without being unfair to other regions, we could say that we saved the best for last. Warm and sunny climate is ideal for cultivation of tasteful white wines made of Pošip, which is the leading one, and Debit. Plavac Mali is the most famous red variety, although Babić is also worth mentioning and trying. This is also home of authentic Croatian variety called Tribidrag. 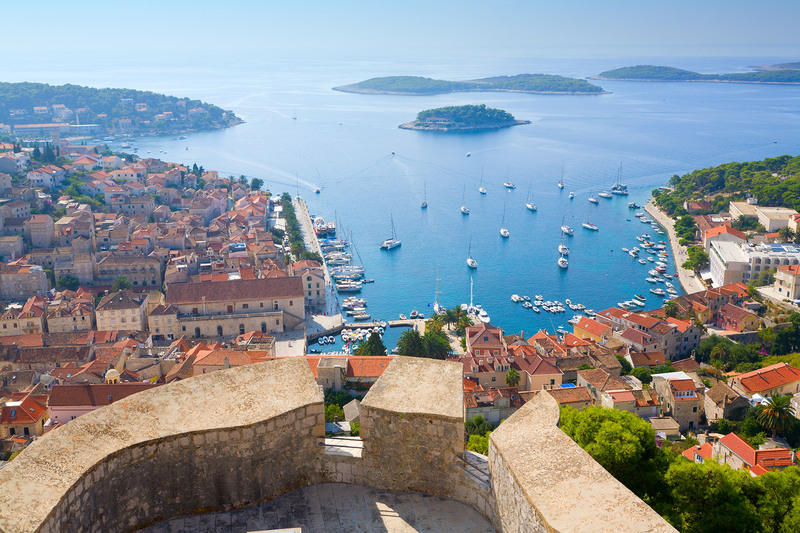 Dalmatia will leave you breathless. Frano Miloš – Stagnum 2003. One of the first Croatian classic wines, this is also the oldest harvest year on our list. Incredibly rich and smooth, time has obviously no influence on its red color. A real must-try. This wine is produced in small numbers, but that makes it even tastier. It is often said that Dingač can last for an eternity. 2011. is also a good year for this wine. This one successfully combines Terroir with an amazing Bordeaux. Although it may not strike you as an everyday mixture, try this wine and then let us know what you think. Best one on the market, this Pošip is gentle but will deliver what is expected, with a sort of fruity taste. In the end, we can just say that Croatian wines represent more than just mere quality. When tasting them, you will feel much more – the background, whether on our beautiful islands, near the Danube or in the historic capital, and lifestyle, where wine is so much more than just a drink.